It’s not too late to sign up for E3! Students sign up today for a chance to network, gain access to portfolio and resume feedback and win prizes!!! 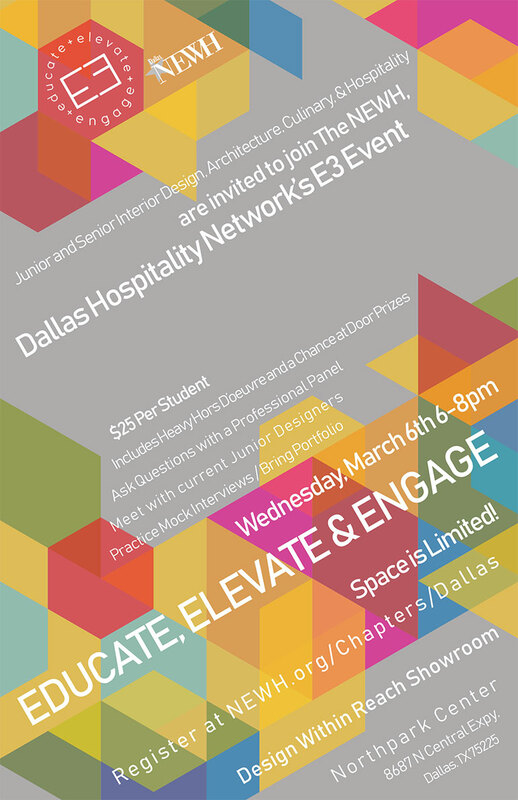 E3 will feature catering by Chef Justo Blanco and include 4 Industry Leaders in a panel discussion from major Hospitality backgrounds; Interior Design, Architecture, Culinary and Entrepreneurship!!! The Fair Market Value of this event is $25 and may be tax-deductible as a business expense. The remainder can be considered a charitable contribution.